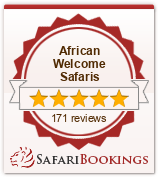 This is the perfect location for observing the perennial drama of the African bushveld and provides excellent birding. For decades, as befits one of the most established game lodges in Botswana, it has hosted guests from all over the world on the safari trail. Khwai River Lodge is perfectly designed to blend into the surrounding environment. All luxury tents are housed on raised wooden platforms, offering great views, and shaded by a traditional African thatch roof. The large private decks are furnished with easy chairs and a hammock, ideal for viewing wildlife, or for enjoying a private dinner in complete privacy. The tent interiors are luxuriously appointed with such comforts as an en suite bathroom, private fully stocked mini bar, four poster bed complete with mosquito netting, as well as a discreet air conditioning. For your convenience, in-rooms safes are provided for the safekeeping of all cash, travel documents and other such articles. Activities at the camp include morning and afternoon game drives in open Land Cruisers. Night spotlight game drives and star gazing presentations are also conducted after dinner. A cultural visit to a local village can also be arranged, as well as guided safari walks along the Khwai River by one of our experienced team of guides. For those wishing to stay at the camp and relax, Khwai River Lodge, is equipped with a hide overlooking the Khwai floodplains, a swimming pool as well as a gym and spa facility. Guests can enjoy indulgent treatments in the facility or in the privacy of their own tent. This camp is set on the banks of the Khwai river which during the dry months of the year is the only source of permanent water in the whole area. This area is most famous for its raptor populations – Martiale Agles, Secretary Birds, Bateleurs and a whole host of little Raptors comprise the main feature of this area. There are wonderful water birds to be found along the Khwai river and this river is fairly open and makes for easy birding, birds to look out for are Purple Gallinule, Saddle Billed Stork, Black Stork, Kingfishers, Slatey Egret and a whole host of little Waders. Surrounding woodland comprises mainly of Mopane and there are a number of birds to look out for here; a big special for the area is the Arnot’s Chat and Hartlub’s Babblers. A trip up to Xaxanka (“kakanika”) is also a worthwhile trip as this takes you up onto part of the permanent swamp. Khwai boasts over 300 species and is well worth the trip, recommended stay at this camp is two nights. Khwai is also our flagship camp in so far as game is concerned; you are guaranteed to see almost all of your large mammal species and it is a first class destination to try and find that elusive leopard.